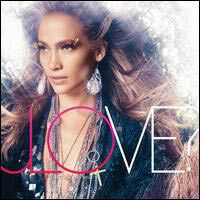 Jennifer Lopez has returned with her seventh studio album JLove? The album plays on the theme of exploring the different sides of love and relationships. In the long-stalled album JLo has pulled in a number of songwriters and producers including StarGate, Taio Cruz, Lady Gaga and RedOne to make the chart-busting album. The album opens with the latest released single â€?On the floor' featuring rapper Pitbull, the uptempo beats brings back the nostalgia of hit single â€?Lambada' with the elements of house and Latin music. The song brings out its best when cranked up to an uptempo in clubs and disco. Second track Good Hit seamlessly embraces the auto-tune of rap and smugging jam which is filled with stuttering beat. The track seems more of Britney style than JLo's dance pop. â€?I'm into You' features JLo's favourite rapper Lil Wayne. The track is groovy and is the infectious with JLo famous dance pop style making it a standout track from the album. Fourth and fifth tracks get in trouble with the midtempo mediocrity that slows the beat of the album. The pop track "Run the World... is slow paced and has a miss on beats which leaves listeners wanting for more. Where as, (What is) Love? Actually has Jennifer's questioning the meaning of love and describing each and every type of guys she dated, the music is again slow paced and could have been better. 'Papi'is high on beats with one of the best thrusting club bangers. The track falls on the â€?On the Floor track' with the influence of Latin music. The album also consist two dance numbers written by paparazzi queen Lady Gaga, just like every other Gaga tracks. Invading my mind is a strong electro pop track with a groovy club banger, high energy beats. Hypnotic is more of mid tempo, fun mix track with funky lyrics. The last two tracks 'Villian' and 'Starting over' talks about getting over the love and start from the scratch, Villian is dance-pop track and 'Starting over' has a strong military beats. Over all the album hangs on the few good club rocking tracks such as, On the floor, I'm into you, Papi, Hypnotico and Invading My mind, which will actually make their presences felt in the top ranking charts.